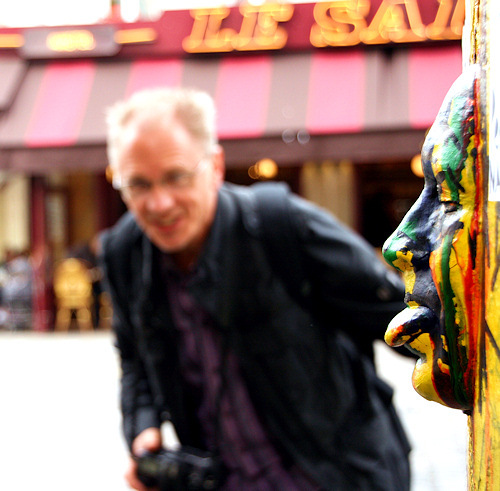 Sab's Secret Paris: 400 Quirks No.12 ~ "Gas and Water - What Else?" 400 Quirks No.12 ~ "Gas and Water - What Else?" JOIN IN THE FUN ~ CHAT ABOUT QUIRK NO.12! "Gaz and Water - What Else?" Take a look at this pretty anonymous Paris façade. Nothing special here, right? Almost. 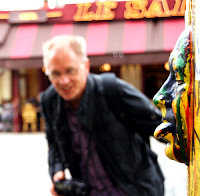 But if you look a bit more closely, just to the left of the drainpipe, you'll see a slight mark on the wall, not dissimilar to many others you'll find all over Paris. With one notable exception. The vast majority of the others say 'Gaz à tous les étages' (gas on all floors) whereas this one adds eau (water) into the bragging rights. Because that's what they were doing, back in the days of the late 19th century, when running water and on-tap gas were just coming along with the new heavily Haussmann-influenced Parisian apartment blocks. "Hey, we've got floors! And we know how to use 'em!" They were shouting about the fact that their building had these modcons which were exactly that - revolutionary and highly desirable attributes - and would be used by developers to sell their investments in Paris real estate and many are happily still visible today. 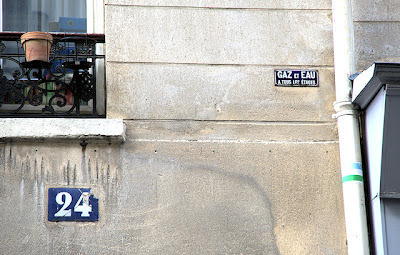 For some reason, though, gas seems to have been the one to advertise or perhaps there was an enormous printing run of the 'Gaz à tous les étages' plaques and they were sold off cheap, who knows? Not me. The result is that there are hundreds of these gas-only plaques all over the place but very very few variations. There are variations, though, as we can see here. This is a particularly beautiful example of the extremely rare 'Gaz et eau à tous les étages' plaque in all its blue enamelled glory. I only know of two of these as I type, and this one is in much the better condition. The only other variation I'm aware of in the same style is a plaque citing water only ('Eau à tous les étages'), of which I know only two or three. 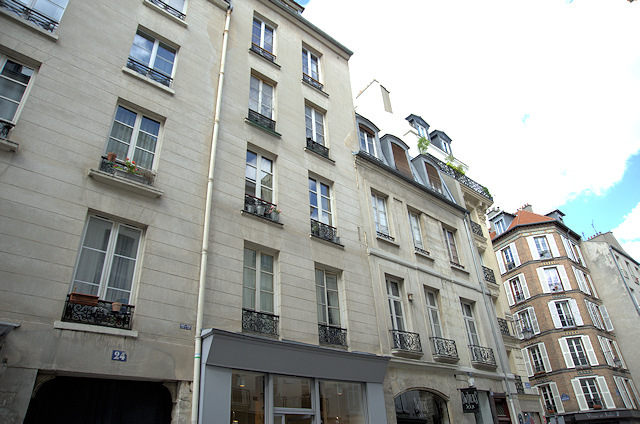 In fact, I found a new one in the 6th arrondissement just a couple of days ago, which I will bring to you in due course. There is another plaque relating to the conveniences of the house which is even more exciting than this one, with three examples I'm aware of still existing in the city, the mythical 'Maison Salubre - tout à l'égout', which you may already have discovered if you've followed my 20 Free Paris Quirks series (and if not, why not?! ), but I'll show you the others here too when I get to the relevant arrondissements.